Akshay Kumar is one such Bollywood celeb who by his movie stories raising the basic problems we Indians hardly talk about. Remember Toilet: Ek Prem Katha? The actor is all set to aware people with his new going to release ‘PadMan’. It is an Indian biographical comedy-drama film which is based on a story of Arunachalam Muruganantham who invented low-cost sanitary pads. 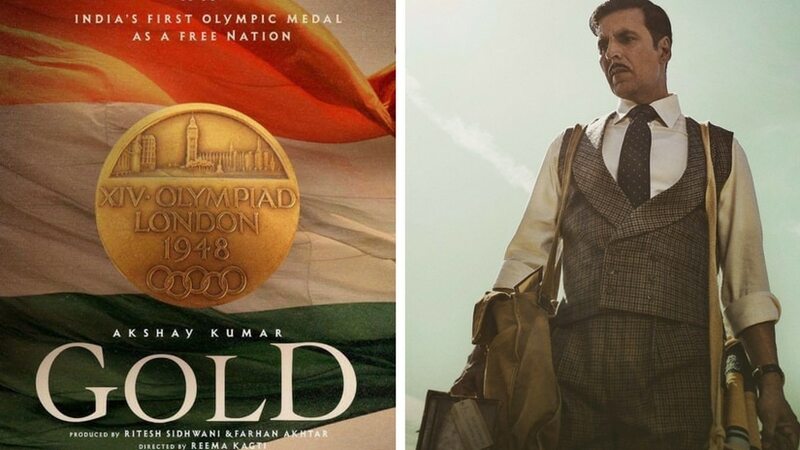 Well, apart from raising social awareness with his film plot, he is also presenting few of the real stories that happened in our history and this time he is back with ‘Gold’ in which Akshay Kumar is portraying the role of hockey player who wants to win the Olympic gold for India and not for British India. The 1:07-minute teaser video of the film is recently released. The story plot is from the year 1946 when they wanted to change the history by presenting India as an independent hockey player nation on the world map. The movie is directed by Directed by Reema Kagti and is about the pre-independence era. Along with Kumar, the film also features TV actor Mouni Roy and with this, she is doing her Bollywood debut. 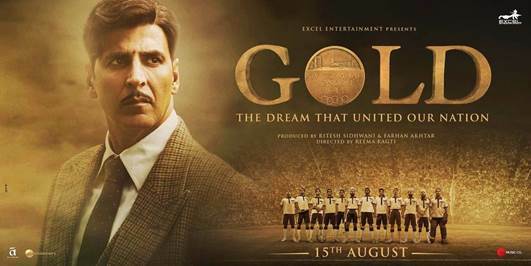 Gold is set to hit at the box office on August 15, 2018.